In anticipation of his upcoming conference co-presentation, Using Predictive Models for Demand Simulation – Purchase, Response and Uplift Modeling in Practice, at Predictive Analytics World New York, October 23-27, 2016, we asked Thomas Klein, Associate Director Advanced Analytics at Miles & More GmbH, a few questions about his work in predictive analytics. A: Our advanced analytics team at Miles & More is responsible for turning data into insights that help our organization to make the right decisions and choose the right measures to take action. The larger part of business problems we work on are focused on optimizing our multichannel marketing campaigns and creating a better customer experience: We build predictive models in order to better target marketing campaigns and deliver personalized recommendations. We also use analytics to identify, predict and test meaningful events that serve as trigger to provide relevant information and create marketing offers based on the customer’s context and current needs. Always with the aim to create and improve customer loyalty for our program and for partner companies. Which customers will respond to a marketing campaign? Which customers will book their flight on an airline of the Lufthansa Group or Star Alliance rather than the competition? Which customers will book a hotel room, rent a car or buy a product from one of our various non-aviation Miles & More partner companies? Which products or services fit with the customers’ preferences and needs? A: With more than 29 million participants, Miles & More is the largest frequent flyer and awards program in Europe. Miles & More has more than 40 airline partners, including the Lufthansa Group and 28 airlines of the Star Alliance. In addition there are already more than 270 non-aviation companies affiliated with Miles & More, these include partners from the hotel, car rental and cruise industries, banks and insurance, telecommunications and electronics industries as well as shopping and lifestyle. Put in a nutshell, our large partner network offers a wide variety of different products and services and our goal is to provide each customer with the most relevant offers, services and information based on his or her individual preferences, interests and current needs. Predictive models enable us to choose the best offers or the most relevant information to dynamically tailor content and use the right channels to interact with our customers based on the data available. More personalized marketing communicaton instead of a one-size-fits-all approach generates additional revenue and results in higher customer satisfation. At the same time we can automate the decision process as well as our marketing campaign workflows to increase operational efficiency and save costs. A: The answer to this question is not as straightforward as it seems, since the predictive lift always depends on the baseline you use to measure your results and we often try to improve models and processes which are already pretty optimized and mature. When it comes to improving marketing campaign it is also very important to set the right expectations and keep in mind that predictive analytics is a critical success factor, but still only one piece of the puzzle and no panacea for all challenges. From my point of view, the recipe for success is doing a lot of experimentation and accept that you will fail more often than you succeed. During this process most improvements will result from the aggregation of marginal gains and sometimes you will hit a long shot. And to finally give you one specific example; which we also presented in our case study on uplift modelling at Predictive Analytics World Berlin in 2014. Using an uplift modelling approach we were able to increase the lift of direct marketing campaigns for our Lufthansa Miles & More Cedit Card by a factor of 3. A: Our analytics team was often asked about the typical customer of a given partner, product or service. The expectation was almost always to get a demographic segmentation or description of the perfect target group. When we started to educate colleagues from various departments on how a multivariate predictive model works they were often surprised to learn, that very different customers are actually equally valuable and that a predictive model always beats an old-school demographic or heuristic segmentation approach. A: Acting as awards program and expert in customer loyalty for more than 300 partners across all industries and providing a marketing platform to interact with 29 million customers certainly has its own and unique challenges. 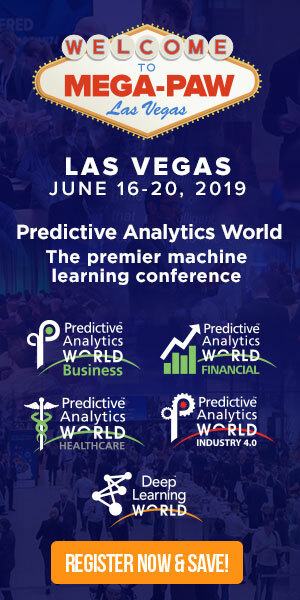 We want to show some use cases about how we successfully apply predictive analytics at Miles & More and share our practical experience about what works best in such a setting. We hope to give our audience some new ideas they can take-away and apply to their specific challenges within their own business setting. We are looking forward to a fruitful discussion, in our Q&A session as well as during the whole conference. Don’t miss Thomas’ conference presentation, Using Predictive Models for Demand Simulation – Purchase, Response and Uplift Modeling in Practice, at Predictive Analytics World New York on Tuesday, October 25, 2016 from 11:20 am to 12:05 pm. Click here to register for attendance. USE CODE PATIMES16 for 15% off current prices (excludes workshops).